Preparing for back to school means another term of school lunches and coming up with as many creative ideas as you can to keep the recipes for lunch boxes interesting and delicious for your kids. But this can be harder than it seems, always coming up with fresh new ideas and things to tempt fussy eaters, so here are loads of delicious back to school recipes for lunch boxes that your kids will love! 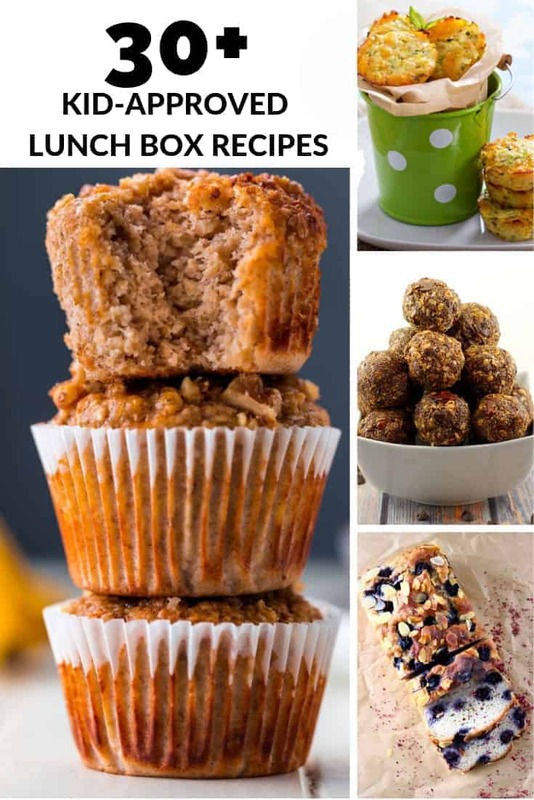 Let’s take the stress out of planning school lunches with an easy one stop spot loaded with simple to make healthy lunch box recipes and snack ideas that will keep you inspired and simplify your life without the last minute lunch scramble! I have broken the back to school recipes into two different sections for convenience – sandwich alternatives and snack recipes. This makes it easier for you to find the type of recipe you are looking for since this list is loaded with over 30 different lunch box recipes for school kids or work lunches. 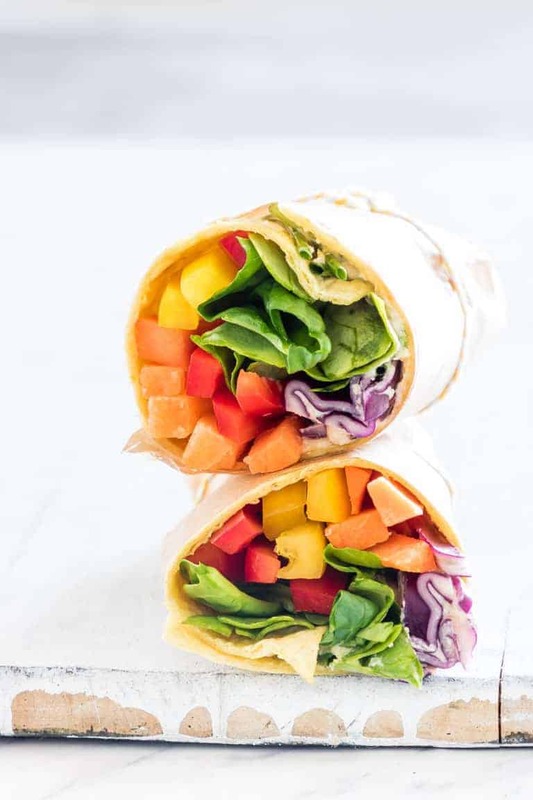 Kids are easily impressed by pretty colours, so these rainbow vegetable wraps are a great way to get some hidden veg into your kids while giving them a fun and colourful sandwich alternative in their lunch box. For an easy muffin recipe you can make in bulk and freeze, these ham, cheese and carrot muffins are a winner because they have hidden veggies too and taste great. Just pop one in the lunch box frozen and it will thaw out in time for lunch, or give them a quick warm in the microwave and enjoy them straight away. This is one my kids love. Traditional sushi may not be every kid’s favourite thing in the world. 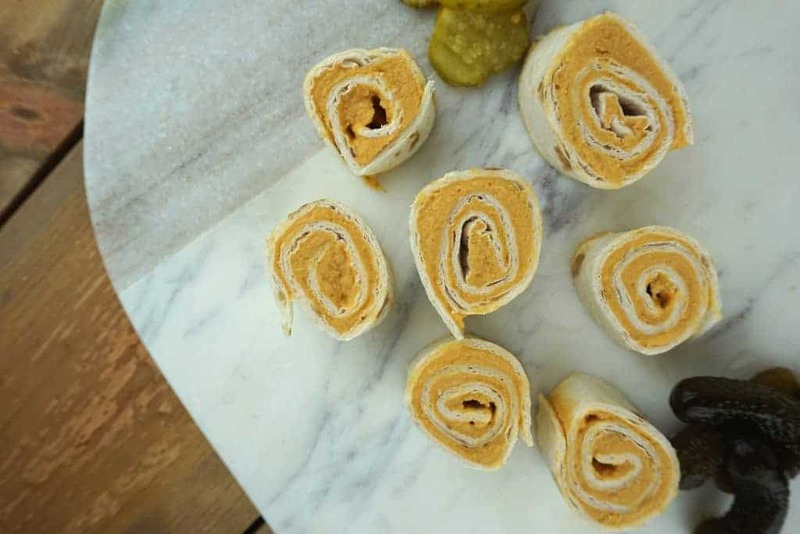 My kids won’t even try it, however this sushi sandwich roll alternative is a great option for lunch boxes, plus you can use any fillings you want really. The sky is the limit. Although I would recommend going for fillings that are suited to your climate and lunchbox storage, since fish and hot weather sure don’t mix! 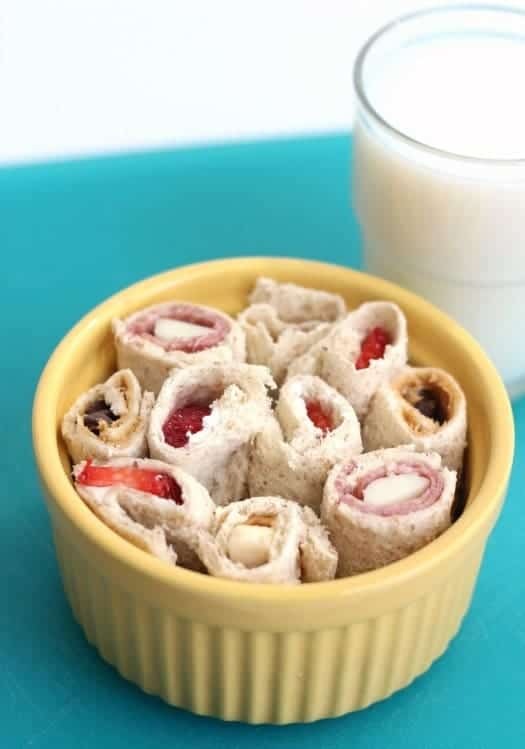 Our kids can’t have peanut butter at school or any nut butter, so cottage cheese is another great filling option for keeping the rolls together. 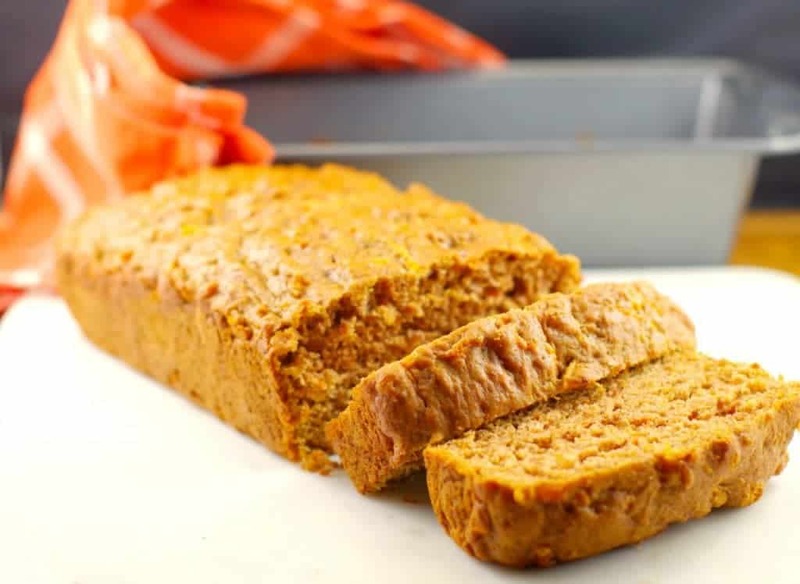 Another chance for some sneaky hidden vegetables, this healthy carrot loaf is a perfect vegetarian school lunch ideas and as a sandwich alternative. My kids love when they get some form of home baked loaf instead of a traditional school lunch box item. My eldest was impossible with eating veggies when she was a toddler so these were created in an attempt to sneak some hidden vegetable into her diet. Except they are so good I usually eat half of them myself! Super easy broccoli cauliflower cheesy patties are a must have on your lunch box rotation! 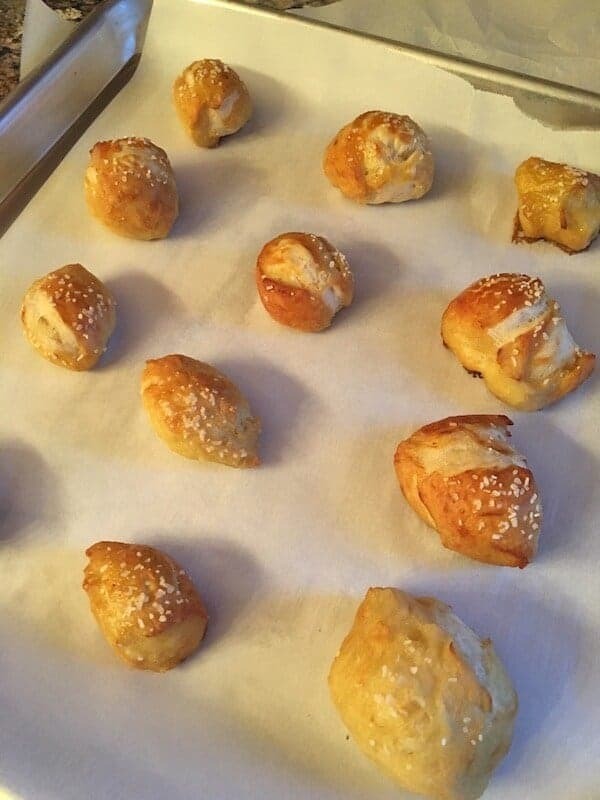 These easy to make simple 3 ingredient pretzel bites are a great option to include in school lunches with a dipping sauce, like a pizza sauce or salsa for a fun school lunch idea. Your child’s friends will likely be envious they don’t have any of their own. 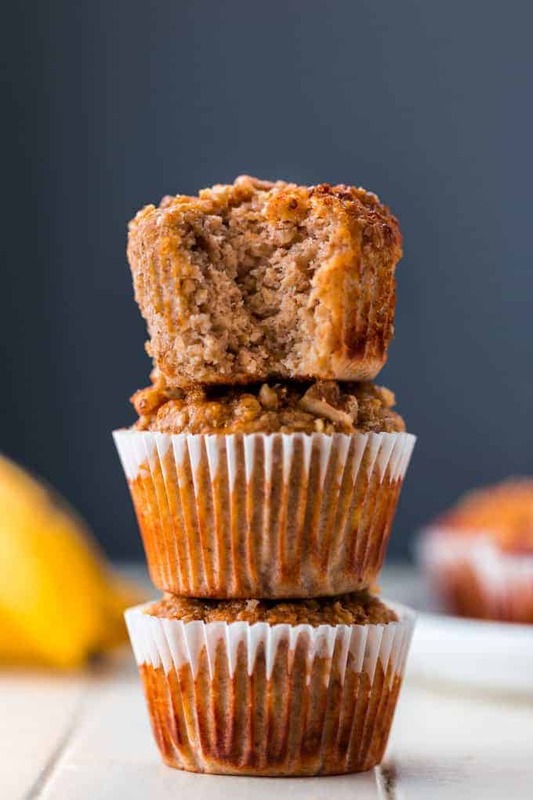 If you are looking for vegetarian school lunch ideas that are loaded with goodness, these healthy banana oat protein muffins certainly deliver! Gluten, egg, sugar and flour free and there is even a vegan alternative to the recipe. Need a way to use up your over ripe bananas? 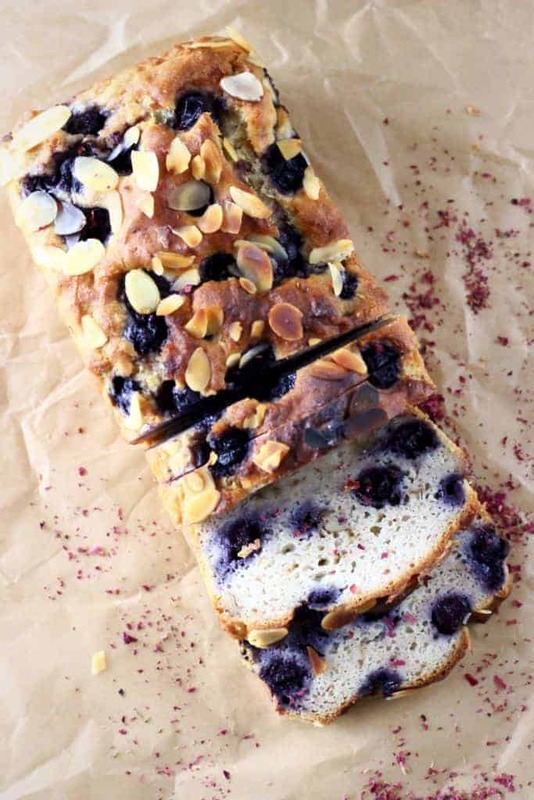 This gluten free vegan blueberry banana bread is a great option for a yummy lunch box idea, with plenty of flavour. If your child’s school has a no nut policy, you may need to skip adding the nuts to the recipe, unless it is for a teen lunch box filler. 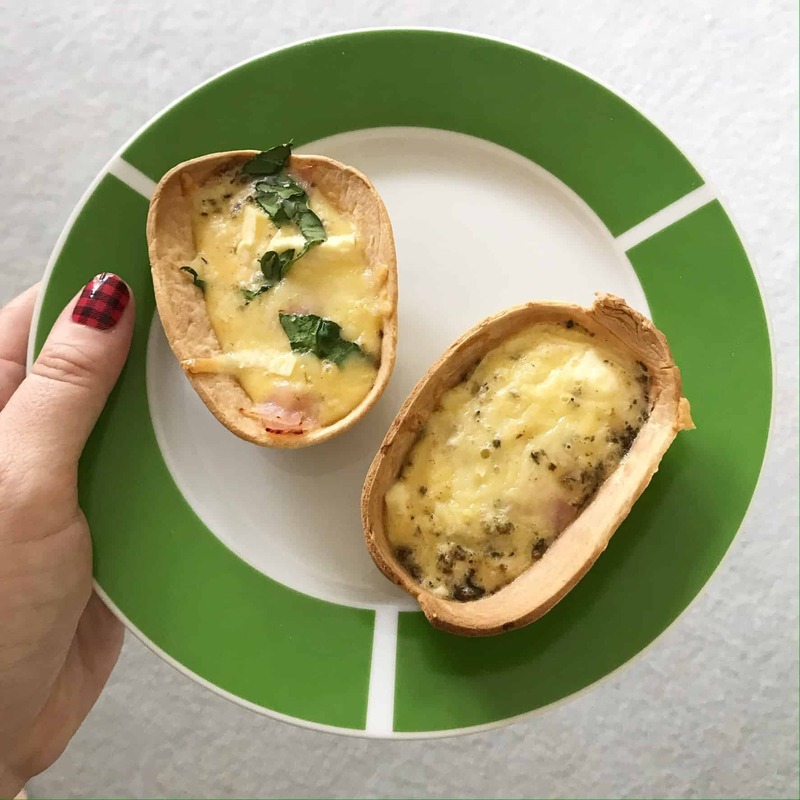 These super easy lunch box quiches are made using mini taco boats. Just add your egg mixture and fillings and bake. The best thing is you can have your kids help decide what fillings go in them so you know they will love them! 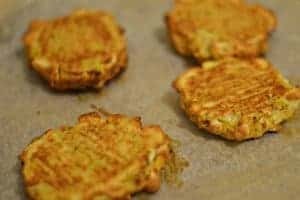 Vegetable muffins are a great way to serve your kids their daily vegetable requirements in a way that they will enjoy, such as these spiced zucchini muffins that are full of hidden veg. Zucchini is such an easy veggie to mix in and these zucchini tots are a great option to make in advance and freeze for future healthy school lunch ideas. Having a few frozen things ready at all times means no last minute panic when you are busy too. These buffalo chicken pinwheels are another great one for the vegetarian school lunch ideas list and super easy to make. 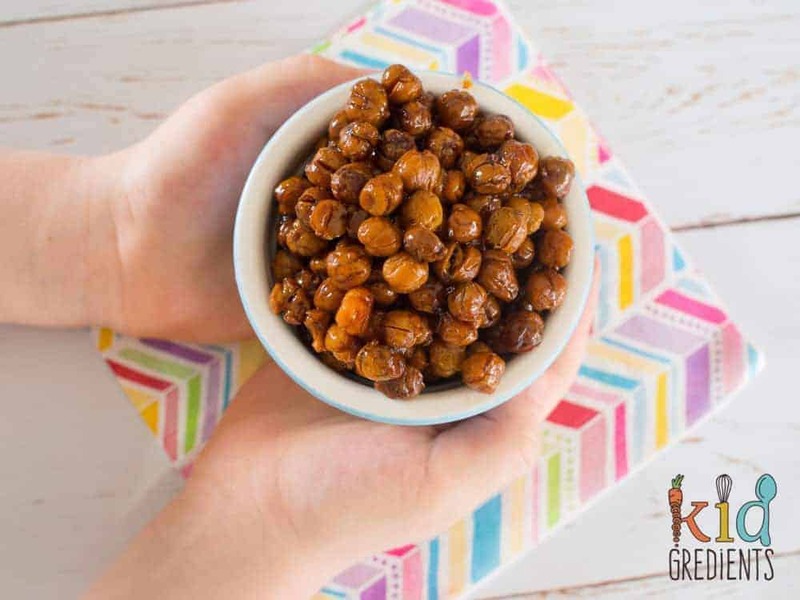 You could even experiment and make your own chickpea flavouring for a bit of extra variety. 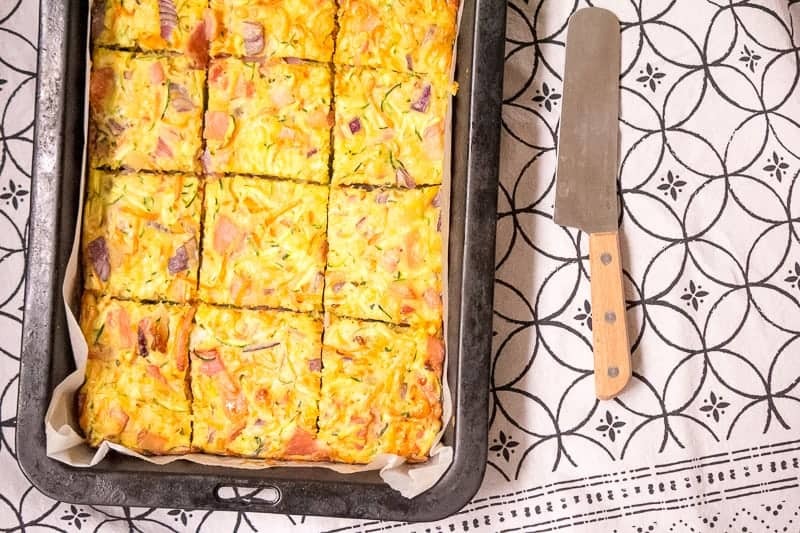 A slice is a fantastic lunch box alternative for all ages (even mums and dads who take lunch to work) and this zucchini and carrot slice is a delicious veggie loaded mix of flavours for a healthy and filling lunch you can bake and freeze. Scrolls are always a popular choice with kids. And what can I say, I love them too! The best thing is you can mix in anything really, but you can’t go wrong with ham and cheese scrolls! Another great option for freezing in bulk and popping into lunch, so you’ve always got a freezer full of great kids lunch box variety. 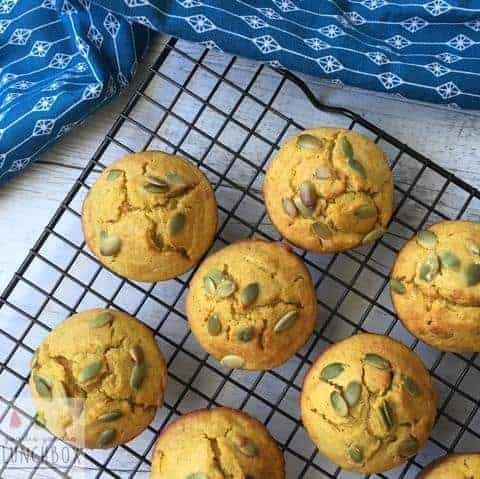 Keeping lunches interesting can be a challenge, whether for school lunches or for your own work or home lunches, so I love anything that involves flavours you don’t normally think of mixing like these pumpkin and coconut muffins. 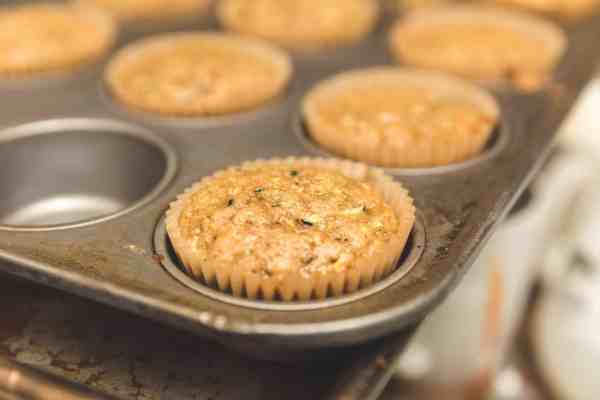 A mix of savoury and sweet coming together for a healthy lunch box muffin. 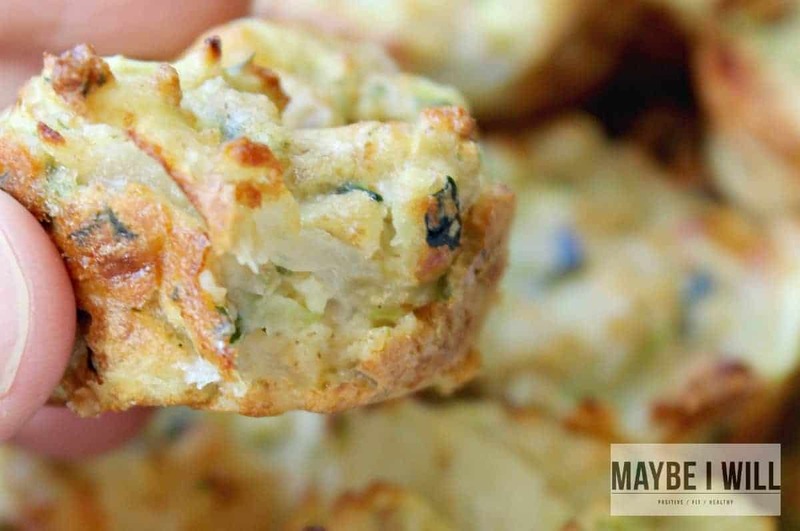 There is nothing quite like cheese that makes veggies better so these cheesy vegetable muffins are a great hidden veg option to load up your kids with goodness and of course bake in bulk and freeze for future lunches. They are a perfect bento lunchbox addition too! These lazy low carb tortilla chips are super easy to make and are a fun school lunch box option. 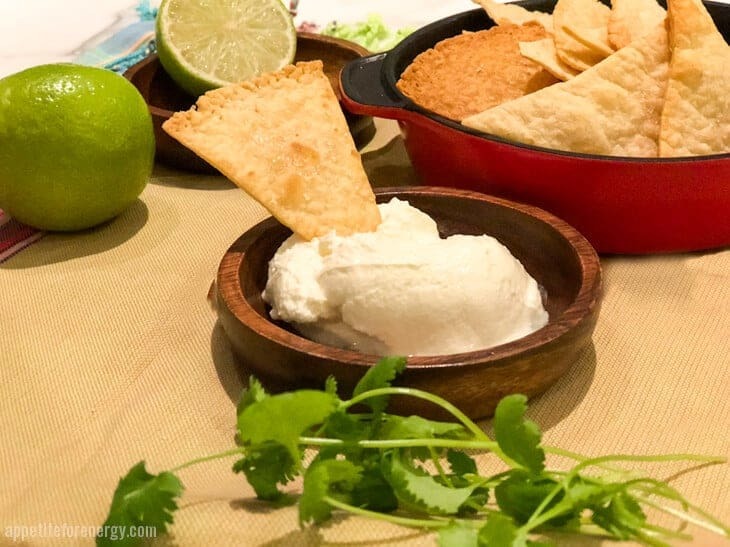 Add a dip like guacamole or hummus, or even a homemade chunky salsa for a yummy crunchy lunch. This is the best guacamole recipe if your kids are avocado fans like one of mine. I know potato loaf sounds a little strange, considering this is a sweet loaf and not a savoury choice, but it is one of my childhood favourites and one that my kids absolutely adore. You can pop it in their lunch box plain or spread some butter between two slices for a potato loaf sandwich. It’s not completely healthy but it’s yummy for a sometimes school lunch idea! Schools are pretty strict here in making sure school lunches are overall mostly healthy with very minimal junk food. With this being said, there is an exception around home made sweet treats on occasion, so I have included a few treats in this list too. However the majority of these recipes are super healthy or healthier alternatives to store purchased snack foods. I will mention again that peanut butter or nuts may not be suitable for your children’s school, which is the case for our kids, due to the allergy risks. My kids love peanut butter and nuts in general so we save these yummy treats for home instead. 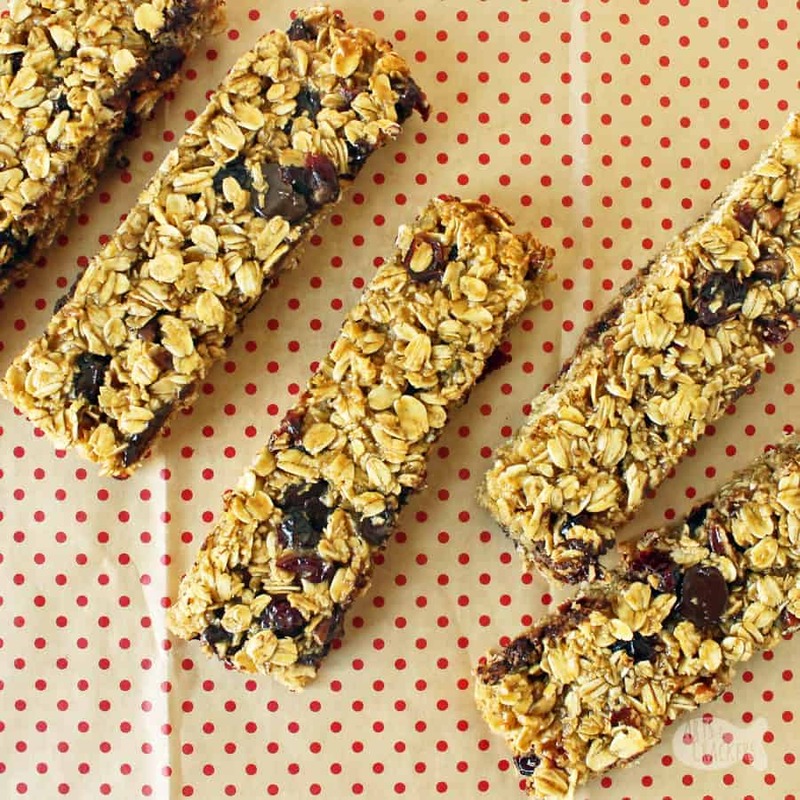 These peanut butter chocolate chip granola bars are a low sugar alternative to store snack bars and are loaded with deliciousness. You could experiment with different mix ins too. 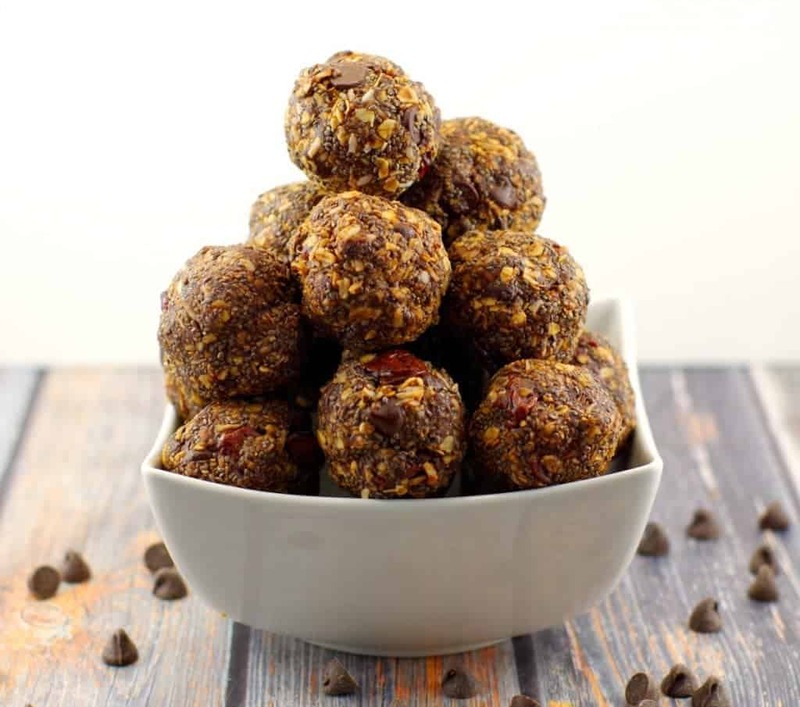 Getting through the school day can be exhausting for those little brains as they grow and absorb so much new information so these no bake chocolate cherry energy balls are a great way to give them an energy boost during the school day and are easy to make in bulk and freeze so you can have them ready on short notice. We are always having bananas go ripe before we are ready to eat them all. 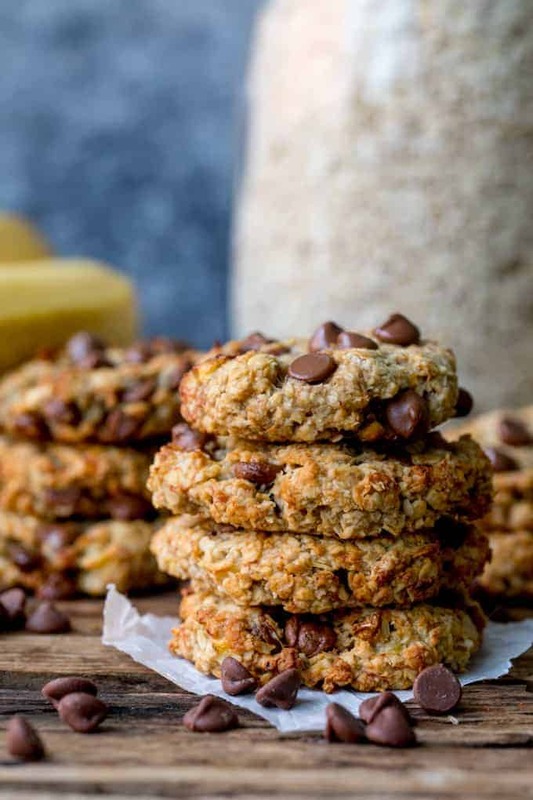 It is one of the downfalls of our climate I think, so I love ripe banana recipes like these banana oat cookies. Choc chips for a little indulgence but otherwise better than your typical chocolate chip cookies! 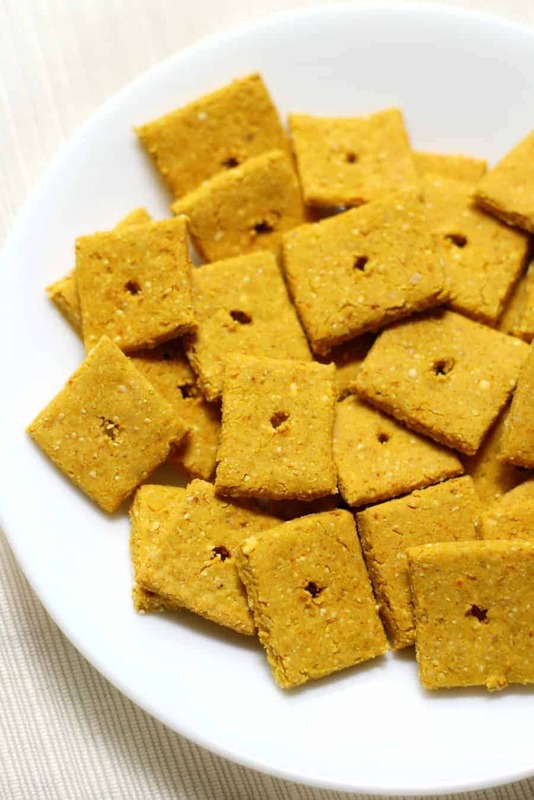 These homemade gluten-free Vegan Cheez-Its without the cheese are perfect vegan and allergy free snacks as they are grain free and don’t include any of the top 8 allergy food risks. This makes them a pretty safe bet for sharing too for playdates, school morning tea and kids birthday parties. 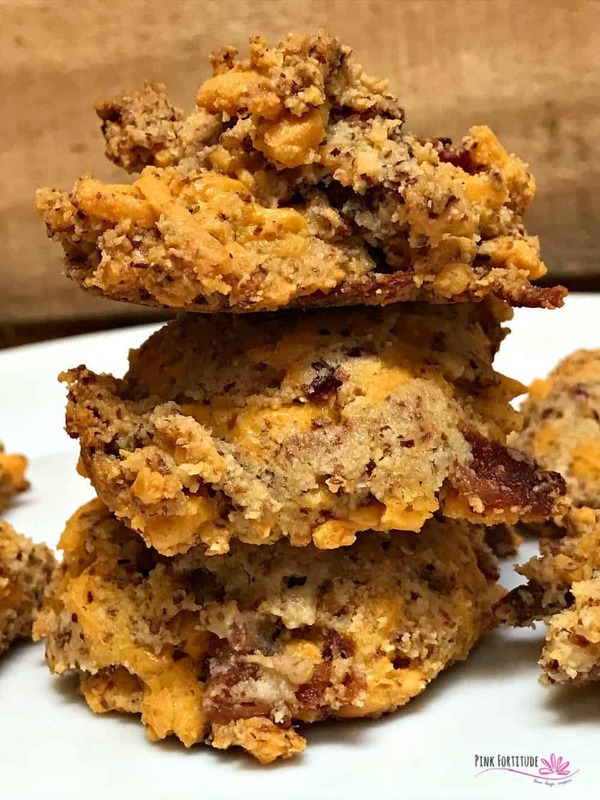 These cheddar bacon biscuits are a great lunch box filler, although skip the coffee perhaps if you’re making these for your kids. After all, kids are energetic enough without caffeine! 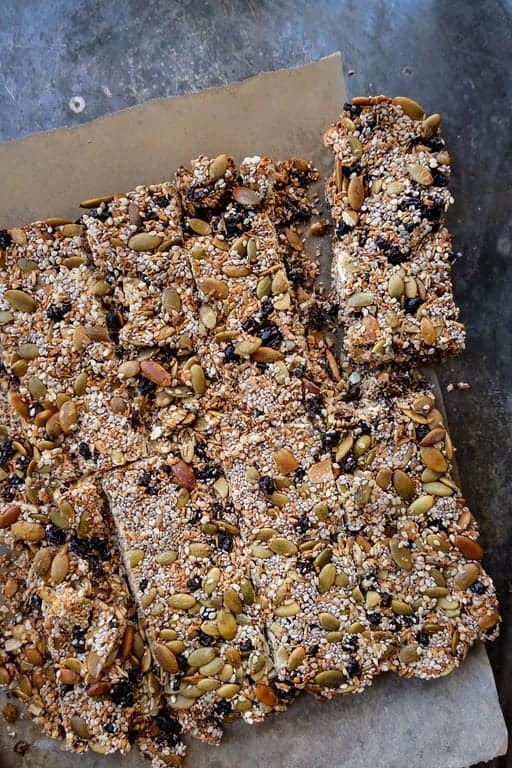 If you want to load your kids up with some super filling whole food ingredients, these coconut chia bars are an easy and healthy option, with lots of different seeds mixed in and the coconut and honey for a great taste. 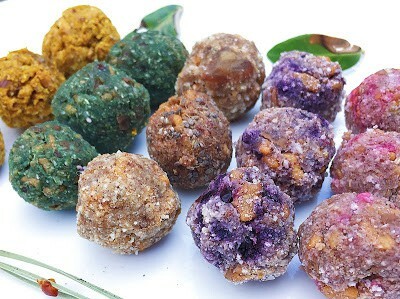 These taste the rainbow bliss balls are a fun novelty lunch item that you can make easily and freeze, adding in items from your pantry that you have on hand, such as different seeds and grains. The colouring makes them a little more fun and appealing for little people in their lunch boxes. Anzac biscuits are an Aussie favourite in April, but there’s no reason why you can’t enjoy them all year round! While this may be one of the least healthy recipes in this round up, they do taste great and they are fun to make with the kids too! Almost everyone loves strawberries. 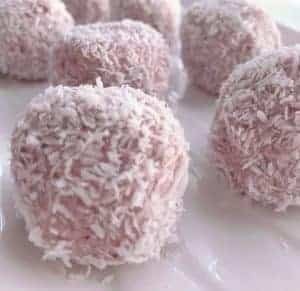 They are usually a fairly inexpensive fruit to buy as well, which makes these strawberry bliss balls perfect cheap school lunch ideas! The best thing about bliss balls isn’t just the energy boost they give kids, but the fact they taste like a treat so they are more than happy to get them in their lunches. As a kid, I loved roll ups. I didn’t have them often but they were a fun sweet treat in my lunch box at times. My mum was that awesome mum that snuck in the treats and made everyone else envious of my lunches. 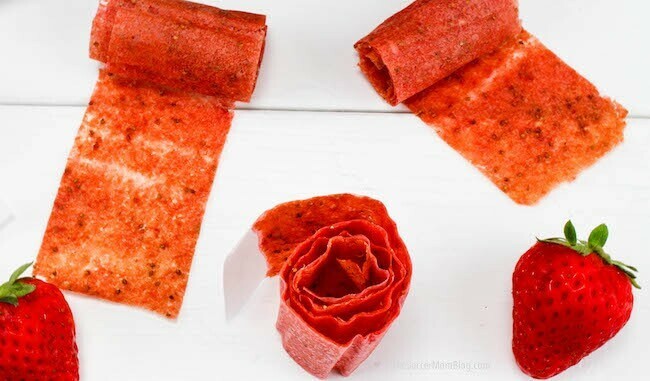 However I have never given roll ups to my own kids due to the fact I now know how full of sugar they are, so I love the fact that these 2 ingredient homemade fruit roll ups actually use real fruit and are good for the kids compared to the supermarket variety! Who knew they were so easy to make! We only recently started putting our airfryer to good use for something other than chips and nuggets for the kids (for those occasional casual weekend lunches). My parents actually left it with us when they started travelling full time and I am now kicking myself I didn’t use it more sooner. 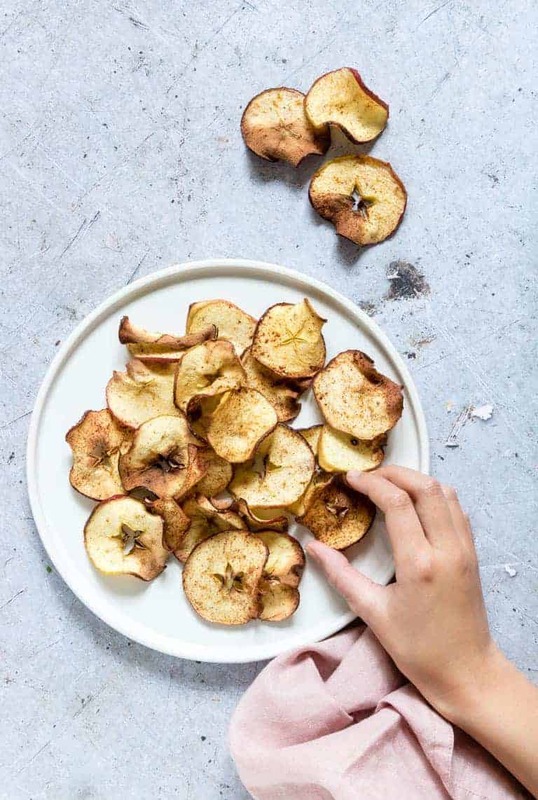 It is such a great appliance for making healthy snacks like these air fryer apple chips. Quick, easy and much better for you than many alternatives! 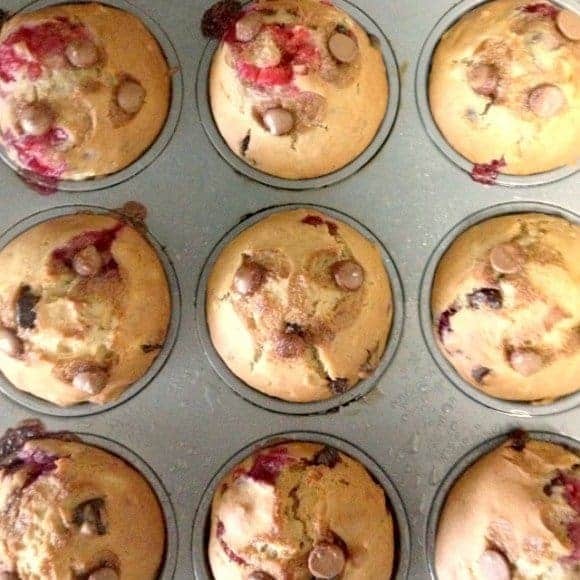 These raspberry, banana and yoghurt muffins are THE BEST! They are so yummy and they have just a little sprinkle of chocolate chips to make them feel like a treat instead of just a delicious fruit and dairy loaded bundle of goodness. They freeze well for later too. 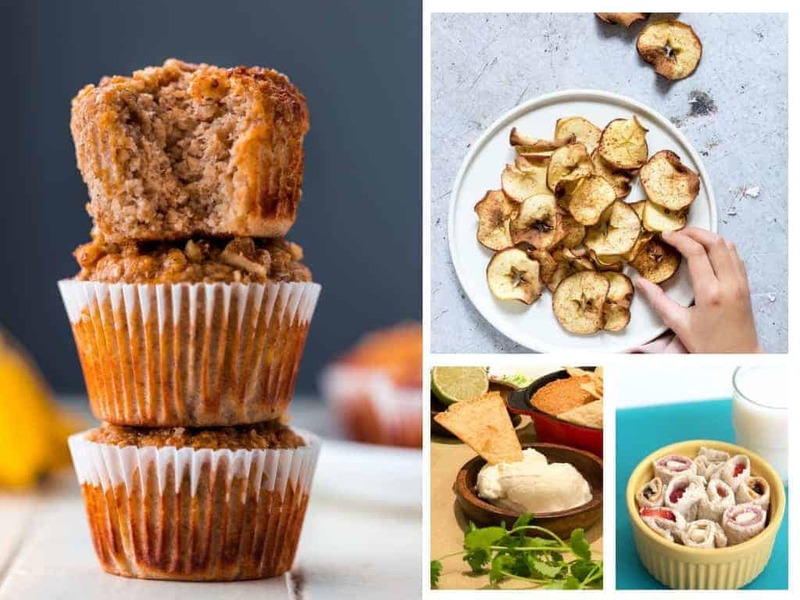 These recipes are sure to be a hit with your kids and with you too, since most of them are healthy and full of good stuff, making them guilt free options to add variety to school lunches. However let’s face it. You don’t always have time to bake up a storm and that’s why I have also got a printable freebie that is going to help you out! It has over 75 different lunch box ideas – just print it off and stick it on the fridge! These recipes are all great options for bento box school lunches. We are big fans in our household of minimising waste with wrapping and packaging so we do aim to have mostly package free lunches for school. Minimising packaging also makes it easier for younger children who may struggle with opening packets of food during lunch time. This was something so important in our household as our eldest is really shy and we did not want to risk the chance of her skipping food just to avoid asking for help. Always make sure your kids have a lunch box they find easy to open and aim to present their lunch in a fun way. This is going to help build up their excitement and increase the chance of them finishing everything in their lunch box each day. If your child is starting school for the first time, don’t worry if they don’t eat a lot in the first few weeks. It takes time to adjust to their new school routine and they don’t want to miss out on anything. Or in my daughter’s case… she is a really slow eater and initially just struggled to get through during allocated eating time. We love the Bentgo lunch boxes because they are designed with age groups in mind to suit the proportion sizes of younger and older children. This one below is aimed at older children, teenagers and adults for ideal portion sizes for lunch. Check it out here. We stay organised with school lunches by simplifying our before school routine. I usually pack lunches 2 days ahead so there is always a full lunch for each child ready to go each day, just in case we have a lot on. Saving 5-10 minutes every second day can be a lifesaver when you are running late in the morning. It is just as quick to pack two lunch boxes at once too. Just don’t leave home without the lunch. I’ve done that before. In fact, I’ve left home without the school bag once! Oops! As for drinks, we only give our daughters water and nothing else. You would be surprised how much sugar and preservatives are in most juice and of course cordial is loaded with sugar so water is definitely our prefered healthy choice for school. OMG, the sushi sandwich rolls are too adorable! Must make them for my little guy. 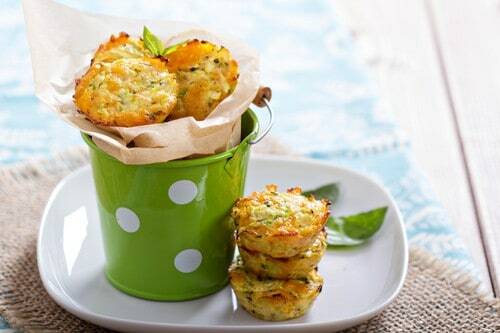 Your cauliflower patties and zucchini recipes look amazing! Those are two of my favorite vegetables, so I’m definitely trying them out! I don’t have kids, I simply love great veggie recipes, and I can tell these will become favorites of mine. Thanks for a great post, Holly! Wow! What a lunch I would have had with these ideas when I was young! I’m going to share your post on a Facebook group I have for food ideas and recipes. Thanks for sharing such a varied list. Those veggie wraps are STUNNING! OMG…if this is lunch, I can’t wait for dinner. They all look yummy..